Noted actress Laurene Landon (Maniac Cop 1 and 2, Masters of Horror: Pick Me Up) is making a much anticipated return to the horror genre with in award-winning filmmaker Jimmy Lee Combs' Terror Tales. Also starring in this film are Jonathan Tiersten (Sleepaway Camp), Lynn Lowry (Cat People, George A.Romero's The Crazies and the remake by Breck Eisner). It will be the first time ever that these three icons of horror will collaborate together on this buzzed about project. 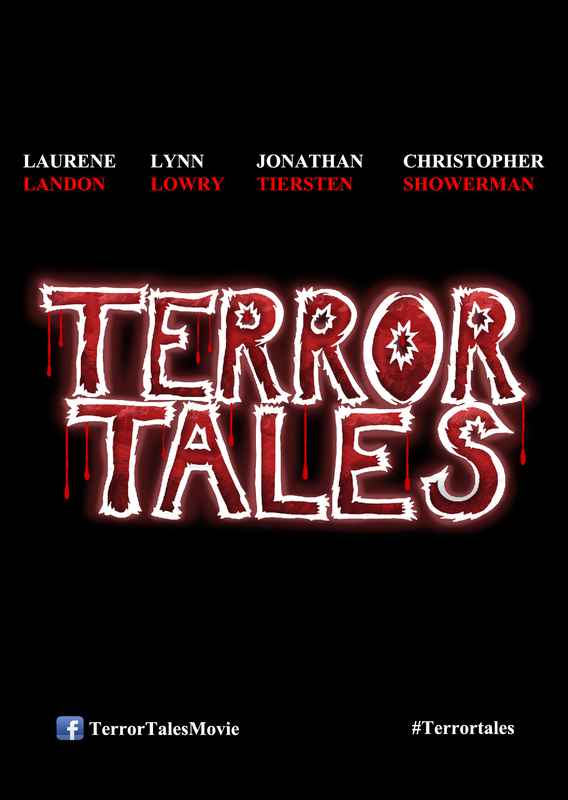 Los Angeles, February 19, 2016	(Newswire.com) - "Laurene Landon (Maniac Cop 1 and 2, Masters of Horror: Pick Me Up) is making a much anticipated return to the horror genre in award-winning filmmaker Jimmy Lee Combs' Terror Tales. Also starring in this film are Jonathan Tiersten (Sleepaway Camp), Lynn Lowry (Cat People, George A.Romero's The Crazies and the remake by Breck Eisner). It will be the first time ever that these three icons of horror will collaborate together on this buzzed about project and turning it into the Expendables of Horror! With Christopher Showerman (Ladybug, George of the Jungle 2) playing a psychopath who delivers the tales of terror!" This film follows a husband who is abducted by a psychopath and taken on a ride from hell where he is subjected to three horrific tales of terror while his wife and daughter are held captive in an attached cargo trailer. Landon will be playing the role of Miss Tate in the Radical Video segment which takes place in the '80s. Miss Tate is the mother of a serial killer on the loose known as The Sledgehammer. "I had the pleasure of meeting Laurene at a convention back east less than a year ago. We hit (sledge or no sledge) it off immediately. I think the two of us on screen together will inflict a lot of damage," said horror legend Tiersten. 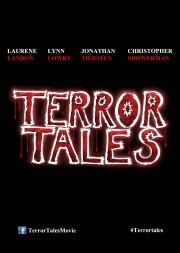 "Terror Tales is the first horror film I am involved with since the Maniac Cop trilogy. I am captivated by doing another horror film. I get to improvise and make the character of Miss Tate very subversive, twisted and will challenge myself to keep the audience incognizant. I am most grateful to be working alongside the innovative, prodigious and vanguard award-winning filmmaker Jimmy Lee Combs whose vision of three intersecting stories amalgamated into one feature film will BLOW people's minds! I'm also excited by our ensemble cast with the who's who of horror films, Jonathan Tiersten and Lynn Lowry," said an excited Landon. visual capacity. The cast and crew are wonderful artists and people. I felt like I was part of a family and we all worked together to create something special. You never know when something magical is going to happen, but I feel it with this project," added Lowry. This has been quite a busy past year for Landon. This statuesque blond beauty just completed the much anticipated Sky opposite Diane Kruger, Norman Reedus and Lou Diamond Phillips. The Hollywood Reporter declared that "Landon registers vividly enough to make you wish the entire movie were about her." Landon recently starred opposite George Lazenby (James Bond—On Her Majesty's Secret Service) in Hunter, plays Detective Higgins in the much buzzed about Samurai Cop 2: Deadly Vengeance opposite Bai Ling (The Crow), cult icon Tommy Wiseau (The Room) and Mel Novak (Bruce Lee's Game of Death) and Joe Estevez (Dexter). She also had a supporting role in the Melanie Griffith/Alexia Landeau feature film Day out of Days directed by Zoe Cassavettes, along with a starring role in Syndicate Smasher, where she is reunited with Novak and Estevez. Laurene made a smashing impression as "Molly", one of two female wrestlers, who are managed by Peter Falk, in Robert Aldrich's (The Dirty Dozen) uproariously raucous comedy, ...All The Marbles where she beat out over 2,000 other young actresses vying for the role, including one actress named Kathleen Turner. The fiercely athletic Landon also performed a lion's share of her own stunts in the film. Landon was very funny as a daffy stewardess in Airplane II: The Sequel and was excellent as Mike Hammer's loyal secretary "Velda" in I, the Jury opposite Armand Assante. Laurene was especially strong and impressive in two edge of your seat action/adventure features for director Matt Cimber: she's the titular rugged warrior woman in Hundra and a gutsy half-Native American spitfire in Yellow Hair and the Fortress of Gold. Landon was once again, on the money, effective and engaging as courageous policewoman "Teresa Mallory" opposite Bruce Campbell in the popular Maniac Cop and its superior 1990 sequel, Maniac Cop 2. After a regrettably lengthy absence from acting, Laurene made a welcome comeback with a sizable co-starring part in the legendary Master of Horror episode, "Pick Me Up." Additionally all the rabid horror fans out there are in for some more exciting news on this movie! Combs will soon plan to reveal what other horror stars will be a part of this noted Expendables of Horror, so stay tuned!